Wondering where to use your stack of Diaper Coupons? We’ve got a great round up on all the best deals on Diapers this week from all of your favorite stores including Target, CVS, Walmart and we even included online deals from Amazon and more. 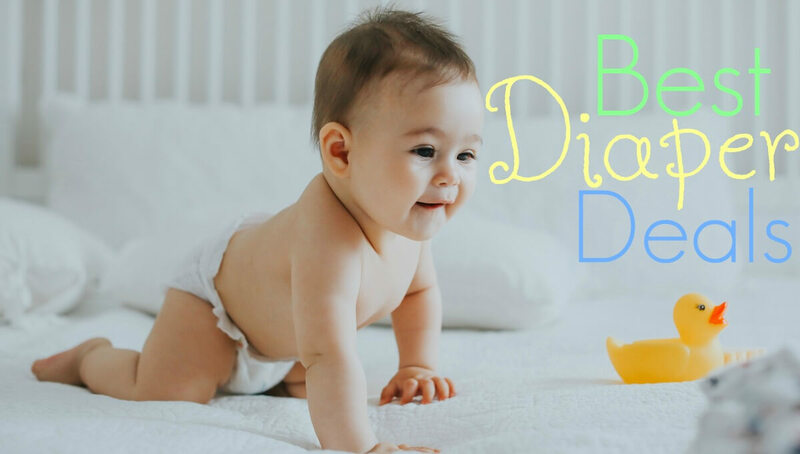 If this Diaper Deals list is not enough, you can always search the Grocery Price Comparison Tool to find the best sales on any products at your local stores. Be sure to sign up for Amazon Mom to get 20% off diapers and wipes and FREE Two-Day Shipping. Grocery Price Comparison – Check for the best prices on products you are shopping for. Beginners Guide to Couponing – learn how to save money on groceries using coupons. Toilet Paper Stock Up Guide – Find out the best prices to pay for your favorite packs of bath tissue.